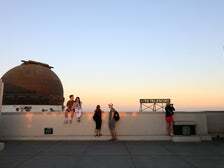 One of the best aspects of living in Los Angeles is the ready access to outdoor activities. The beach, mountains and desert are all within striking distance. 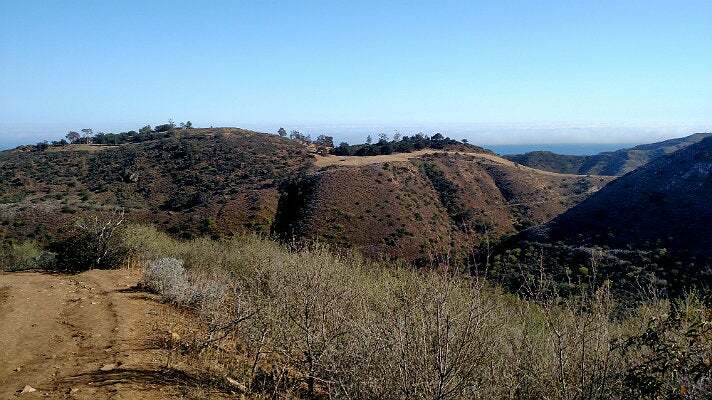 Hiking is always an option, whether it’s the Santa Monica Mountains, Baldwin Hills, Hollywood Hills, down south in Ranchos Palos Verdes or up in the mighty San Gabriel Mountains. 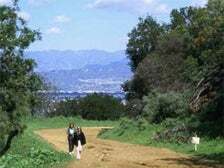 Learn about 10 of the best easy hikes in L.A. County that will get your heart rate up and yield some terrific views, but won’t lead to exhaustion. Walk down to flat, dusty single track with chirping birds and brush on both sides. Pass by green hills and a dry creek bed to your right. 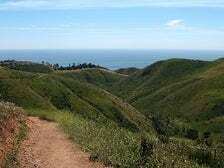 The trail widens and gradually climbs up the hillside above Caballero Canyon, with views of a tree-lined ridge behind you. Pass a rusted yellow gate to reach an unpaved stretch of Mulholland Drive, which has a bench to look out on the valley below. On weekends expect to see trail runners and mountain bikers at this intersection. After soaking in the scenery, head back to the starting point. 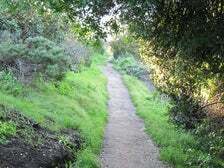 This is perhaps the closest trail to civilization in L.A., convenient to people on both sides of the hill. Park in the Wilacre Park lot and begin climbing the paved, tree-lined Betty B. Dearing Mountain Trail. Wrap up the hillside and see the Valley expand below you on the right. Concrete gives way to a dirt straightaway. 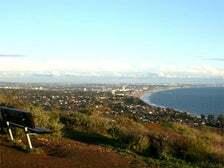 Gradually climb up the hillside, dry brush at your feet, with the occasional bench lookout, mountain biker and dog walker. Descend past the base of Tree People's Coldwater mulch-lined headquarters. Round the bowl above the canyon, past fences both wood and chain-link. A yellow gate spits you out into a residential cul-de-sac. Take Iredell Lane down the hill to Iredell St. and hang a left on Fryman Rd. to bring you past ferns and white fences both picket and modernist to get back to the Wilacre parking lot. To reach this aspirational hike through Bel-Air, one of L.A.'s most luxurious neighborhoods, take the Moraga Drive exit off the 405 North. Cross Sepulveda Boulevard and take an immediate left past the gas station on Bellagio Road, which becomes Casiano Road. At the dead end, park and climb the dirt and gravel. This wide fire road overlooks freeway traffic, and on the opposite ridge, The Getty Center. This hike is gradual and eventually highway sounds fade. A ridge lifts on your left and a deep canyon appears to the right, giving you rare peek behind the Bel-Air gates - from a distance. The halfway point is at, you guessed it, a gated community. 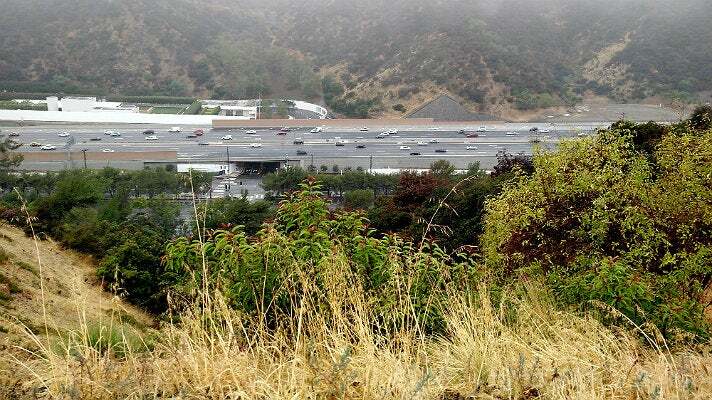 Look across the 405 to see the impossibly green MountainGate Country Club golf course, and then descend the hill to where you started your hike. 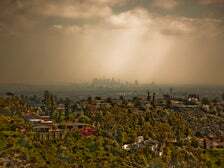 Enter this state park off La Cienega, with dusty oil derricks conjuring images of L.A. Confidential. Geese and ducks swim in Gwen Moore Lake on your right. Children's parties, bouncy castles and barbecues pop up on weekends. Take a left into the parking lot at your first opportunity, and then walk left until you reach the mouth of a fire road. Climb up the fire road, past covered benches of Autumn's Peak and Christine's Point to see Blair Hills oil derricks in full bloom. Look to your left for views of Century City, Downtown and the distant San Gabriel Mountains. Continue along the ridge until you hit the end of the line, then double back to the beginning. When you reach the base of the fire road, hang a right on Olympic Forest Drove to reach bucolic Doris' Japanese Gardens. Parking is $6. Enter Los Liones right off Sunset, just up the hill from Pacific Coast Highway and the Pacific Ocean. Park on the side of the road near the first park sign you see. Park further up the road in one of the small lots if you prefer a shorter jaunt. Either way, continue north on a single-track trail that runs along a dry creek. Pass what looks like a tiny stone amphitheater on your left. Wrap up the hillside, where homes quickly give way to green ridges and birdsong. Natural roadblocks present themselves, just follow paths of least resistance. 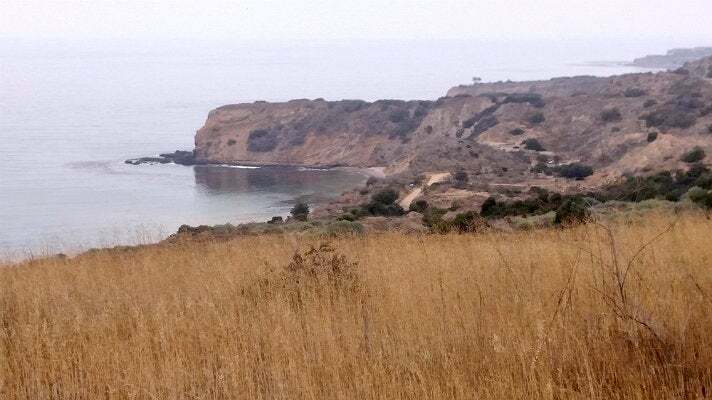 Eventually you'll reach the ridge, connecting Paseo Miramar Trail and a park bench for prized views of the Pacific Ocean, as long as the marine layer's lifted. Head back to the start or continue on Paseo Miramar if you’re looking to take your hike from easy to intermediate. 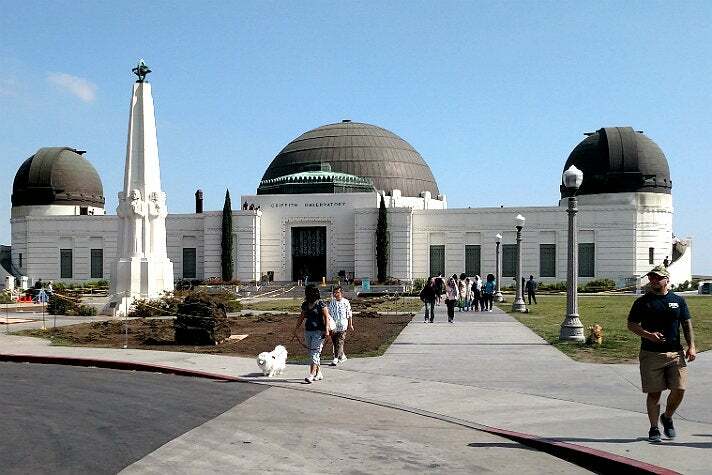 Start in the Griffith Observatory parking lot and follow the Mt. Hollywood Hiking Trail (Charlie Turner Trailhead) road sign. Climb north on a fire road toward the peak. Pass pine trees and terra cotta benches and picnic tables, with Century City towers visible in the distance on your left. A gradual climb overlooks Griffith Park. At the bend, you'll have a clear view of the Hollywood sign and radio towers on the next peak. Instead of continuing toward the horizon, take a hard left and pass a palm-studded lookout with tiered benches. 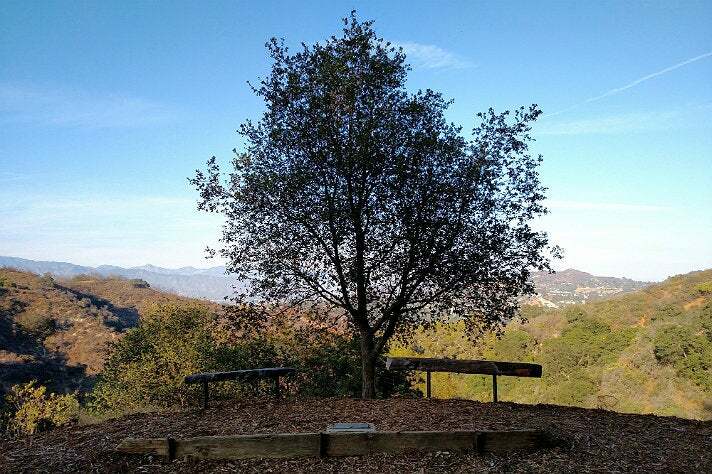 Stay to the right and you'll reach a fenced-in lookout with 360-degree views of the San Fernando Valley and downtown, with picnic tables and ties for horses. Hug the right when descending or end up in the park’s backcountry. Wrap around the "mountain" to find Wilson Golf Course, Dante's View micro-park and the Greek Theatre. Reconnect with the windy fire road that leads back down to Griffith Observatory. 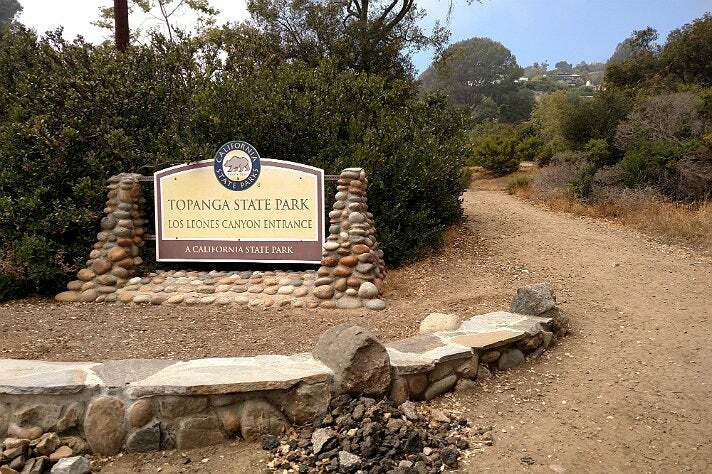 Note: If you'd like to extend your aerobic efforts, start your hike by the Trails Cafe and climb towards the Observatory above, or start at the bird sanctuary trail at the bend past the Greek Theatre and wrap up switchbacks toward the peak. Park in the spacious lot and set off on a concrete path past a picnic area with low-slung stone and beam fencing. At the sign for O'Melveny Trail/Equestrian Trail, take a right down a dirt fire road. Caution: Rattlesnakes signs appear, and by the time you pass through rustling brush, you may mistake a chorus of crickets from rattlers. 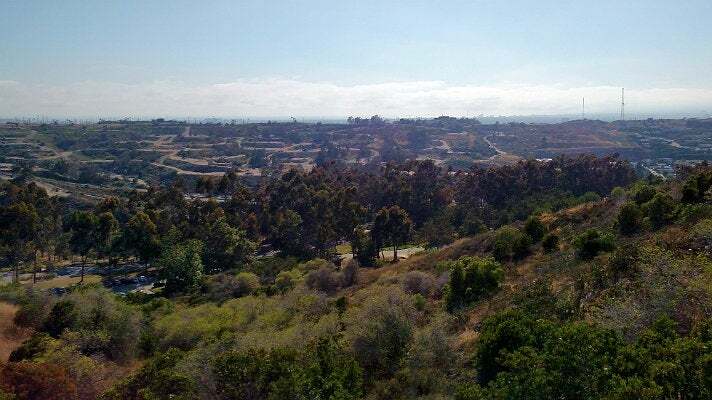 Climb switchbacks to see craggy rock faces until you reach a plateau that overlooks the residential San Fernando Valley, a reservoir and higher mountains in the distance. Tread lightly on the descent since dirt is loose, and the decline is steep. There's little shade, and the sun can be punishing in summer, so hike early, in the evening or in cooler months. Take Crenshaw Boulevard to its southern end, and then keep going. This hike starts at a dead end with a Burma Road fire trail. Mountain bikers and horses join hikers on the long decline. Pass The Harman Overlook under pine trees on Eagle's Nest Trail. Single-track switchbacks will eventually reconnect you with Burma Road fire trail and views of the Pacific Ocean, with squawking shorebirds in the distance. Return to the start on windy, dusty Ishibashi Trail. You’ll see signs for coastal cactus wren and California gnatcatcher, so peel your eyes for these two rare birds. It looks like there may have been a brushfire, but bushes are bouncing back. Pass through a flat, dry meadow to reach the homestretch. This oversized dog park to the stars starts at the north end of Fuller Avenue, past a row of Hollywood apartment buildings. Pass through a gate with butterfly design, hang a quick left after a lawn used for yoga, and take a right past palms to start your concrete climb. To your right, people pass bygone tennis courts and climb stairs on the next ridge, which is a tougher road. Above you on the left, there's an even tougher climb. Herds of aspiring starlets appear around every corner. 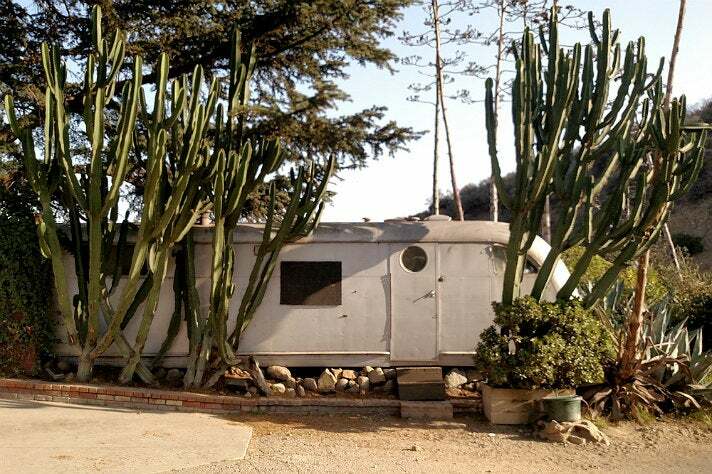 Eventually you'll reach houses, a cactus-framed Airstream trailer and the Hollywood Sign to your right before the trail lets out at a Mulholland Drive parking lot. Take a deep breath and descend to the trail’s start. 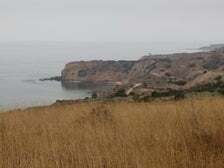 Not far past Pepperdine University, you'll find Solstice Canyon. Park in a big lot and walk past Education Shelter to start up wide paved trail with trees and brush on both sides. Pavement gives way to dirt and a bubbling creek to your right. 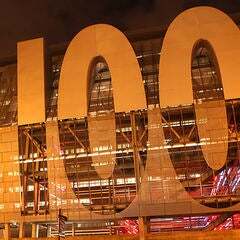 Stay to the left at the bridge and start a gradual climb. Arrive at Tropical Terrace, a burnt out home that supermarket owner Fred Roberts of Roberts Public Market built in 1950 with vaunted architect Paul R. Williams, burned in 1982 Dayton Canyon Fire. A walkable “blueprint” remains. In fact, this canyon is even more misbegotten. As a nearby sign says, in 1901, Henry Keller purchased a claim on this land, to hunt and fish. In 1903, a fire burned the canyon, taking the house with it. Sweeney rebuilt with stone and tin, and the one-room hunting lodge may have survived, but the wood porches helped the structure re-ignite in the 2007 Corral Fire. Take a left to see the remains and a waterfall. 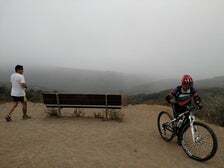 Otherwise, continue straight on Rising Sun Trail and climb dusty single track. Clay turns red, and there’s very little cover as you wrap up the hillside. Reach a plateau and wrap around the canyon’s top, the Pacific Ocean ahead. Descend and reach parking lot. Cross the lot and zigzag right, left and right on a paved trail to reach the original parking lot. 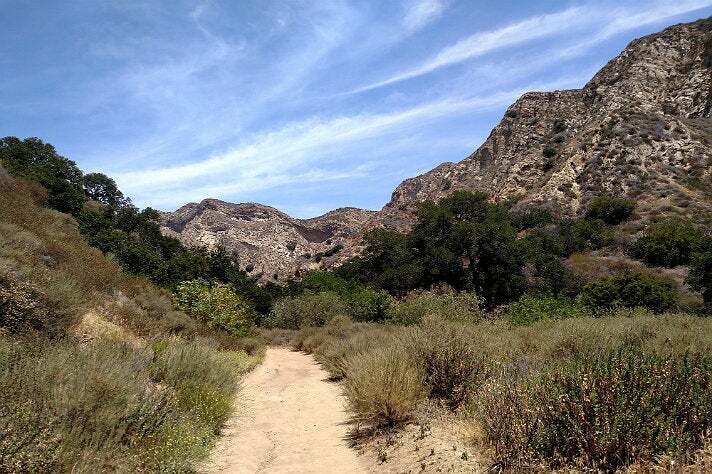 Explore the numerous hiking trails in Los Angeles and discover why L.A. is the ideal place to get outside.